7 Holiday Spending Mistakes to Avoid (Pt. 3) - Jon B. Clarke, P.C. Ending our three-part blog series 7 Holiday Spending Mistakes to Avoid, below we will highlight some final ways you can avoid holiday spending mistakes this (and every) year! Mistake 6 – Not being careful to protect yourself from identity theft while you do your holiday shopping. One of the biggest holiday spending mistakes is ignoring real debt problems and spending anyways. Call us for help getting out of debt. We can help you get a financial fresh start in 2015. As holiday shoppers get ready to do some major spending, identity thieves are also poised to look for any window into obtaining people’s sensitive information to steal their hard-earned money. When shopping online, beware of phishing scams that are trying to get you to input your passwords, bank account numbers, SSNs, etc. Be diligent about checking your bank and credit card statements for any charges you didn’t acquire yourself. Regularly check your credit report for any charges you didn’t accumulate. Make sure that your bank, credit card companies and the post office have your current physical and electronic address so that you get any transmitted notices regarding overdue bills, new accounts being opened in your name, etc. Mistake 7 – Not considering more economical gift options when you may already be struggling with debt. You don’t have to spend money to give gifts – you can make the people you love something or offer to do some chore or favor for them as your gift. Holiday spending can be dangerous for people with debt problems. Ignoring your debt problems over the holidays won’t make them go away – in fact, it can make them worse. 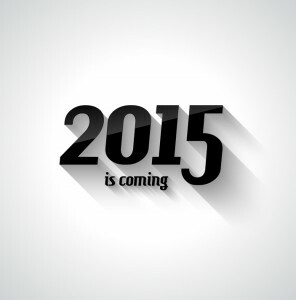 Seeking professional help to obtain debt relief can be your ticket to a better financial year in 2015.